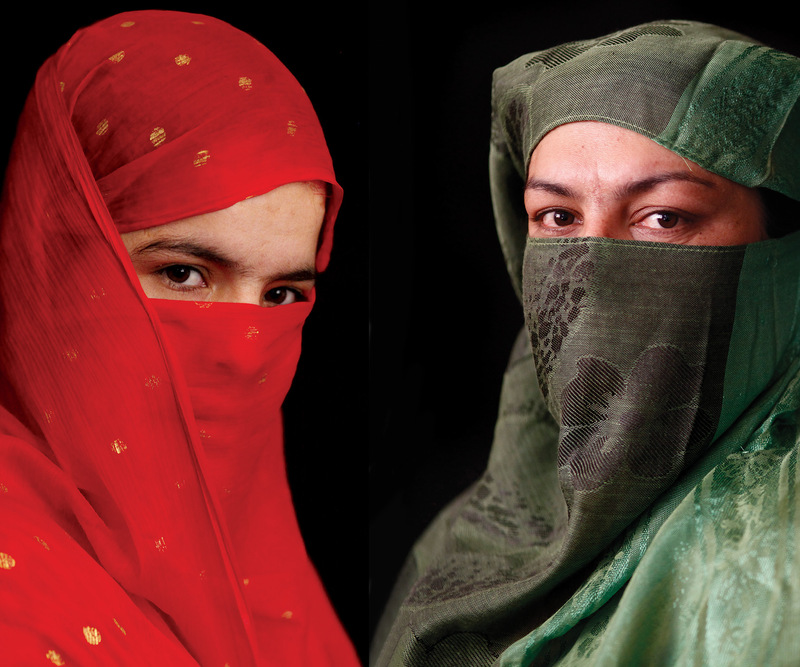 Valeska Hovener and Marielle van Uitert hear how two Afghan women who have fled family abuse are learning to move on. Behind a steel gate and high walls in Afghanistan, runaway girls and women are hiding. They have been married off as children, beaten by their husbands, humiliated by their families and sometimes forced into prostitution. Immediately after escaping, there is often nowhere for them to go. Arriving at the shelters, these women are severely traumatized. The Afghan Women’s Skills Development Centre offers safety and psychological and legal support. Two women who have been helped by the Centre tell their story. My father was a member of the Taliban. When I was three he promised me to an older man for a lot of money. Then he died, and my mother married my father’s driver, also a Talib. My stepfather was a drug addict and very violent. He would constantly hit my mother and prostitute her. To make her less aware and more able to handle so many men, he plied her with alcohol. At the age of nine I could no longer take all the beatings – I felt really sad and alone. Marriage was the only way I could see of escaping. Unfortunately, it did not change my situation. The man I was betrothed to was 30 years older than me. As a young girl I knew nothing about the wedding night, or relationships. On top of that, my stepfather kept bothering us. He hated my husband – I believe that was why he hurt me so much. When I was 13, my stepfather pulled me out of the house. He took me to an unknown place and stabbed me repeatedly: in my face, arms, head, for no reason at all. Then he pulled out all my nails. Once he decided to try to sell me to other men, I had had enough. I had seen what it did to my mother, so I ran to the police station and begged them to lock me up – I was so afraid my stepfather would kill me. My case went to court, but instead of listening to me the judge immediately called my stepfather. He bribed the judge, and I was sent to jail for two years. During my imprisonment, my stepfather beheaded my mother, but was never convicted. Even the police were afraid of him after he threatened to blow up the police station. I wept a lot during that time. In a second attempt to escape him, when I was released I moved to another city, but he found me, and the abuse continued. I was constantly in the hospital until the Ministry of Women’s Affairs brought me to the shelter. I was 20 years old, sick and deprived, but for the first time I was finally able to forget. The only thing I have left from home is my radio. It was a present from my father and I have always kept it with me. I like to listen to ‘The Voice of Afghan Women’, which has strong women openly talking about their problems. It makes me proud that I am one of them now. My father was an army general when he died in a plane crash, and my mother refused to remarry. She supported us by working as a government typist, and I was allowed to go to school. When the Taliban came to power, my mother was forced to quit her job, and I was made to marry her cousin, at the age of 13. During our engagement I found out my husband-to-be was epileptic. I tried to give him back his ring, but his parents promised they would buy him a shop. This convinced my mother that I had to marry him. After my wedding I left school and moved in with my in-laws. They were very nice to me because they knew their son had problems, but they’d lied about the store. My mother-in-law told me I must have children, and I quickly gave birth to two sons and a daughter. Everything changed when my brother and in-laws suddenly passed away through illness. From one epileptic attack per month, my husband now had five a day. He could not work any more, which made him very aggressive. He took out his frustration on me with his fists. He also hurt himself because of his condition and ended up spending months in hospital. Once, my husband hit me in the face and gave me a bloody nose, and when my mother said something to him about it, he took his revenge. He stabbed her several times with a knife. She could no longer walk and suffered a permanent brain injury. He then ran off to Ghazni with our children. He returned after five months, but I could not bring myself to go back to him. For three years I lived with my mother, under constant threat from my husband. I was not allowed to see my children and when the divorce was settled I moved to a women’s shelter. I have been in three different shelters. I left the second one because my mother died, which caused me a lot of emotional strain. In the third shelter, here in Kabul, I feel safe but not free. Just like my mother, I want to earn my own money. I would like to set up my own beauty shop, because I am always busy with nail polish and make-up. Those things represent freedom for me. As soon as I get out of the shelter, I will visit my mother’s grave. Then I will get my children back. Valeska Hovener is a Dutch journalist who writes on women’s issues in The Netherlands and around the globe. Her website is invogelvlucht.com. Marielle van Uitert is a Dutch conflict photographer who operates in Iraq, Syria, Afghanistan and Gaza. Her website is paralleluniversum. Why are Baltic States posing as anti-Greece?